Manchester United endured their worst day under Ole Gunnar Solskjaer yesterday, during their first Premier League loss with the club legend at the wheel. That’s football, I guess. It was always going to happen and The Emirates is a tough place to go to. The 2-0 result flattered Arsenal, but in the end, the match was marred by a ‘fan’ running onto the field and acting like an idiot. After what took place just hours earlier at Birmingham’s game, you’d think this lad would have more awareness to not be an absolute moron, but hey-ho, there’s always one I suppose. The ‘supporter’ ran onto the field and pushed Chris Smalling before joining in with the Arsenal celebration. No doubt he’ll now get himself a hefty ban while The Gunners will be hit with a suspension – and rightly so. 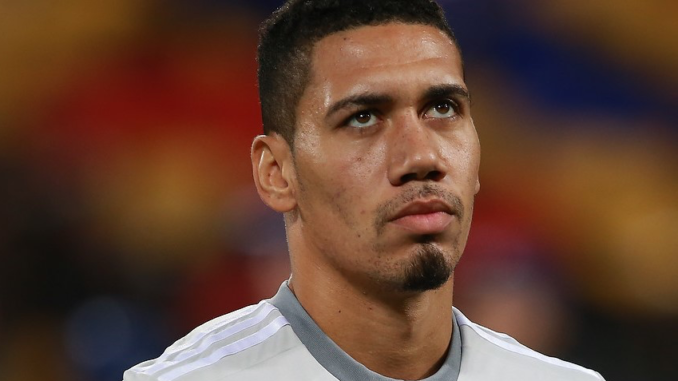 In the aftermath, Smalling has taken to social media to react to the incident and the match on the whole – and he summed it up perfectly. Disappointed with yesterday’s result but we’ll learn from it. Looking ahead. Have a good start to the week everyone! This muppet doesn’t deserve the attention and Smalling is exactly right to not give it to him. Unfortunately, one fan ruins it for the majority and gives the whole club a bad name. In terms of the football, I think we have to be pleased with the way we played yesterday. United never gave up and continued to attack, it was just one of those days at the office. Smalling himself deserves particular credit. He has been absolutely sensational since returning from injury – and long may that continue.